Q: Can I create a PDF Portfolio with PDF Studio? A: PDF Portfolios are a proprietary format that can only be created and viewed by Adobe products. A PDF Portfolio is a PDF document that uses Flash to display attached documents in an animated way. Flash is not a part of the PDF standards and so unless you are using Adobe reader or Acrobat and have flash installed you will be unable to view the PDF Portfolio as no other viewers can support this format. PDF Studio can however attach documents directly within a PDF. Since it does not use Flash the files can be opened by any PDF software not just PDF Studio. This avoids any compatibility issues when sending your documents to others. 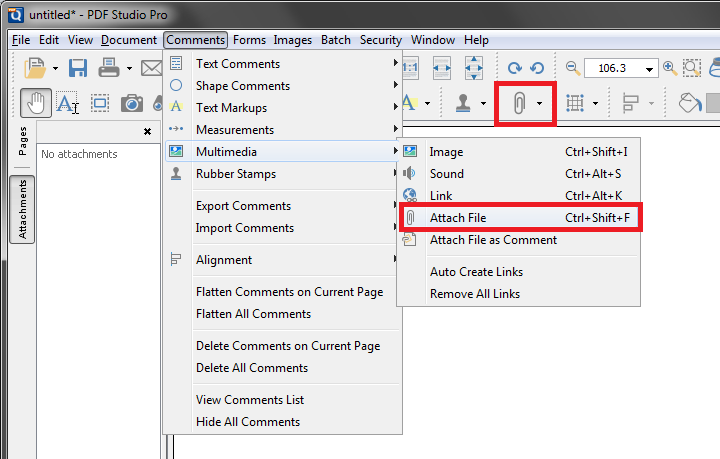 Attaching files can be useful for example when working on a project with multiple files that need to be referenced. You can attach any file to the document and then the person you send the file to will be able to open the file without any issue. 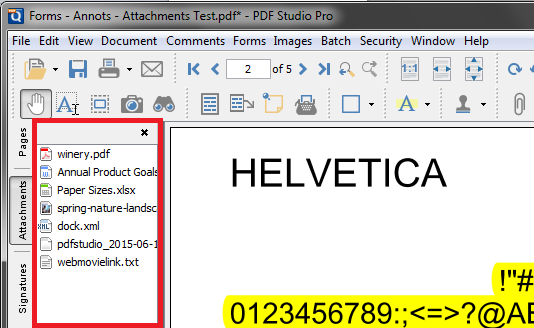 The file is now attached to the document and can be viewed by double clicking the file name on the Attachments pane on the left.